Is your career on the rocks Career Girl? Do you find yourself secretly rendezvousing with your ideal career in your mind? What if I were to tell you that it doesn’t exist? Eek! I could just hear your mind right now saying, “Wow, thanks for being such a dream crusher”. But that’s not what I mean. What I mean is YOU must Create it. And before you can create it you’ve got to have an idea of who you “Really Are”, and what you’re good at. To be more specific, that means knowing your gifts, talents, strengths, passions, skills, value etc., ultimately giving you a sense of confidence in terms of what you bring to the table. You see, what I’ve observed being in the Executive Search industry is that a lot of people walk through life with the idea that their dream career is just going to be handed to them or like it’s gonna “Drop out of the Sky”, and so they plod through life taking whatever is given to them just to get by. And before you know it they’re stuck in a job that just pays the bills without any passion. Here’s the thing — the key to unlocking your gifts, resides in your heart, and this will ignite passion. Your skills, on the other hand, are the vehicle to achieving your Dream Career. For example, you could have a passion for baking and secretly desire to have your own bakery, however in order for it to succeed you will need certain skills to achieve it. Some people approach their career from a linear perspective in that they thrive on the fact that they’re passion alone is enough to succeed. However, this is simply not true, nor is it holistic in perspective as you will still need the skills & a strategy to execute the plan to make the dream a reality. Conversely, I’ve observed that there are others on the opposite side of the spectrum who merely survive on their skills alone in a job that lacks passion which leads to frustration and a lack of fulfillment. Guess what? You need both. You see, a dream career is created when passion and skill meet and work together synergistically. So if you’re feeling frustrated in your current job chances are you’re working solely with your skills and not enough with your passion. Career fulfillment occurs when the heart and mind are working in unison with one another. Career TIP 1 – Clarity is the 1st step to creating results. What does your ideal career look like? Write it down. Career TIP 2 – Write down all the things you like about your current job vs. what you dislike about it, then compare. Career TIP 3 – Now grab a sheet of paper, draw a line down the middle and list your skills on one side vs. your passions on the other. Career TIP 4 – Once you’ve narrowed down your Passions Vs. Skills, run a Google search on careers in your city using key search words. You’d be amazed at the world of career options that will open up to you combining both that you didn’t even know existed. 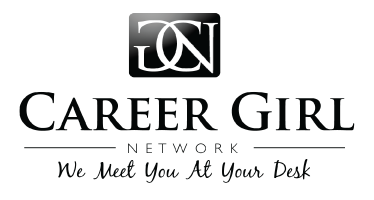 Career TIP 5 – Now run a search on recruiting firms or companies that specialize or hire in those types of Careers. You now know what you’re good at, what you’re worth, what you can offer, AND what’s available to you. Empowering, isn’t it? When making a career choice, choose a career based on your heart then instruct your mind using your skills on how to create it. Success is achieved using both. Always remember, that you’ve got something very precious to offer the world, and this will give you an unshakeable amount of confidence putting you Career Girl in the driver’s seat of your life.